here unique examples. Her techniques are top notch. I love the chalkboard look, flourishes & icicles here! 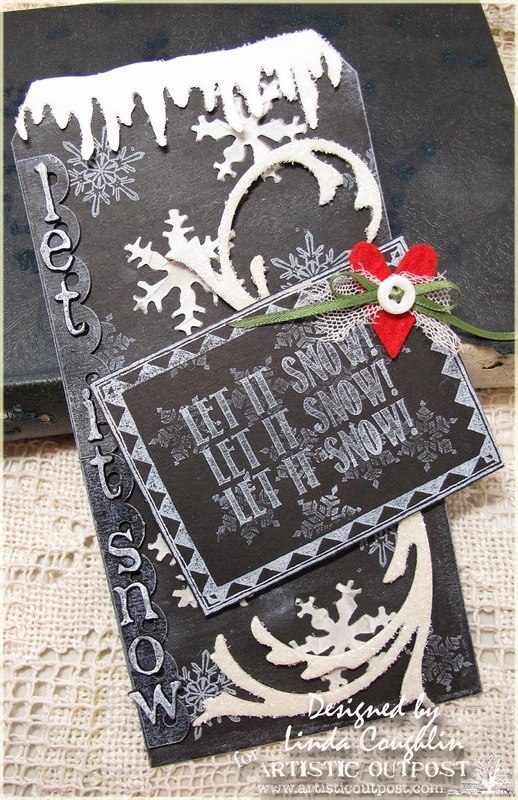 Tim Holtz sentiment from Funkie Junkie Boutique. was dabbed with white paint. which I can NEVER start too early! Lovely card, Jane. Love the chalkboard effect and the beautiful red snowflake paper. 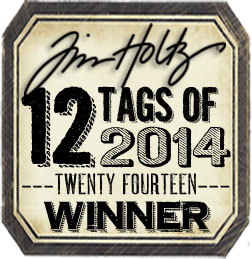 So happy to have you back playing with me again this year for the Christmas tags challenge! And thank you for your kind words about my work inspiring you - I'm blushing!